Wizler will post to Facebook, Twitter, and Google+ on your behalf. We have social media packages to meet the needs of all businesses, from basic maintenance to full agency social media consulting. What Social Media Properties are include in my package? Custom Social Media Package - Custom packages are ideal for any business requiring additional social media monitoring. Whether it be Pinterest, Instagram, or hyper targeted social media advertising campaigns, this package allows you to dictate your digital marketing presence! Wizler offers Social Media Packages to simplify your online marketing! Not having your business represented online is no longer an option. The account experts at Wizler understand Social Media, and know how to utilize it to increase your online business presence. Social Media Management can be time consuming and often requires a creative understanding of one's brand; the social media consultants at Wizler will not only monitor and update on your company's behalf, but will also develop an understanding of your unique business perspective and goals. 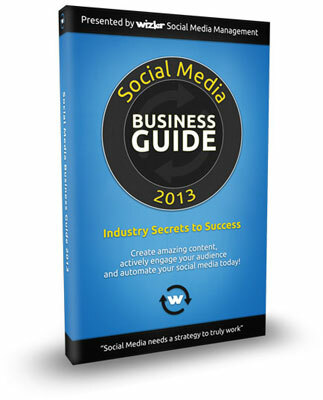 No other Social Media Company offers the level of personalization that Wizler guarantees! The content Wizler posts will be catered toward your individual company's perspective, and will be aimed at driving sales and increasing your online presence. Many businesses encounter an issue translating social media into increased profit: let Wizler handle the technical aspects, while you reap the benefits! What does a Dedicated Social Media Manager do for me? With your package, you will be assigned a dedicated Social Media Consultant that will monitor multiple aspects of your brand's online presence, from the creation of personalized online content, to monitoring and tracking your accounts. Your Social Media Manager will engage customers on your behalf, in real time, answering potential and current customer questions, while removing SPAM and tracking the analytics of your online accounts. For events, specials, or anything that you'd like to share, you will be able to contact and schedule with your personal Social Media Manager, thus ensuring up to date relevancy for your accounts. Wizler creates Custom Branded Graphics for your Social Media Properties. Customized social media graphics will help to maintain consistency across all of your businesses social media accounts, and will increase brand familiarity and exposure. From Google+ cover photos, to Facebook, Twitter backgrounds and LinkedIn banners, Wizler will create incredible, custom graphics that will relay a level of familiarity and professionalism to all current and new fans. If your business already has awesome graphics, we will adjust those to fit accordingly for each social site! Cohesive branding will allow potential customers to establish a level of intuitive familiarity around your brand. Wizler will create specific, unique content centering on your company's product or business, as well as your specific social media goals. Some social media sites dictate more of a professional tone, whereas others have a playful vibe; depending on which package you choose, Wizler will create content that speaks not only to those engaging on the specific platform, but also to your business audience. If you have an event, special, or anything at all that you'd like to post, you will also be able to contact your Social Media Manager to have them schedule posting that specific content for you! With Wizler, you dictate your personal involvement in your companies' social media, knowing that experts have the reigns. The dedicated Social Media Managers at Wizler are well versed in "Best Social Media Practices". This knowledge directly translates into increased, active online presence for your company! Such practices include specific time scheduled posts, real time engagement, and different types of content throughout the day/week. Studies have shown that different audiences engage more at specific times, and that people are looking for different things at 11am on a Monday, versus 3pm on a Friday. Although the package you choose will dictate the frequency and where Wizler posts, these Social Media Best Practices will always be integrated in all that we do. The best, most underutilized aspect of Social Media engagement revolves around customer service. Posting relevant content twice a day doesn't do any good, if no one is interacting with your customers! Your Social Media Manager will monitor your social media sites for comments and questions, and will write back on your behalf. If they are unsure as to the answer to a question, they will immediately contact you before proceeding. These practices are imperative to giving consumers the assurance that your company is on their side and are producing a product/service that they stand behind. Spam is an unavoidable part of the internet, whether it be from a bot or a specific disgruntled person posting inappropriate content. Real time engagement ensures that Spam will be monitored and immediately removed. There are varying levels of Spam, some are bulk messages, others are commercial, some personal; Wizler will individually assess each communication and will act accordingly to varying degrees of Spam messages. Page Insights are available for Facebook, LinkedIn, and Google+ and offer data as to who your audience is, when they are looking at your Social Media Business pages, and most importantly, what people are engaging with. These insights are critical to seeing your return on investment, as well to helping understand your audience and cater posts directly to them. Your analytics, as well as Social Media Company pages, will always be accessible to you. Wizler will also send you monthly reports on your social media analytics, further helping you chronicle results. Customer Service is the essence of what we do, and we have developed a 24/7 ticketing system to allow us to always be available. Day or night, you can submit a ticket by logging into our website, and we will get back to you within 24 hours. Rest assure that having Wizler as your Social Media Company guarantees that you not only have a personal Social Media Manager, but also a help desk to answer any and all of your questions!